Ever dreamed of turning lights on and off with your Android smartphone? Want to push music around the house like iPhone fanboys can with AirPlay? Google is bringing that to you with Android @ Home and Google Tungsten, their latest creations. 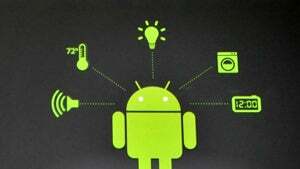 Android @ Home will consist of a series of open source libraries which developers will be able to use to create home automation apps on the Android platform. Any device plugged into an Android @ Home receiver will work with Android's automation API's. Imagine carrying your tablet or phone around the house, and if you forgot to shut off a light or appliance, you can do it remotely by tapping a button on your screen. Or, imagine your house turning into a giant, Android-powered media streamer. It's going to use an as-of-yet undefined wireless protocol (we'd guess Bluetooth-related, since it's low-power and will be "open"), which means, yep, you'll need all-new gear for it to work. Thanks to Borrowlenses.com the lens rental place that we use for our liveblog gear.